I've always been a need vs. want kind of guy. Always processing purchasing in my life. The Havasu swap meet was just another walk through looking and not buying and then BAM! 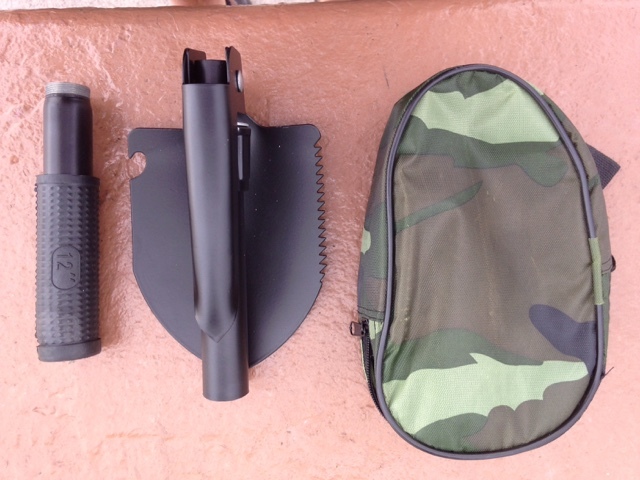 There it was a mini backpacking shovel/pick. I was looking for a shovel before I left home for the Prius. You never know when you may need such a tool. I have one at home but the full size Millitary style with the same functions was too big for the Prius. 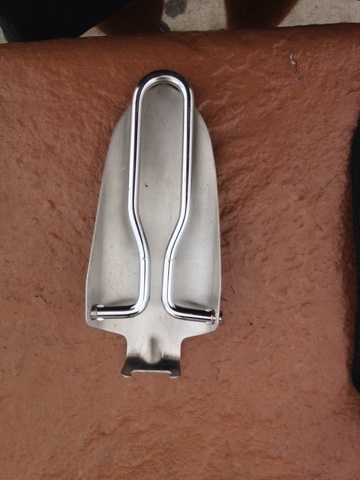 This one is complete with compass on the handle end and a hook for opening bottles on the blade of the shovel. Although not as strong as the one I had it will do in a pinch. 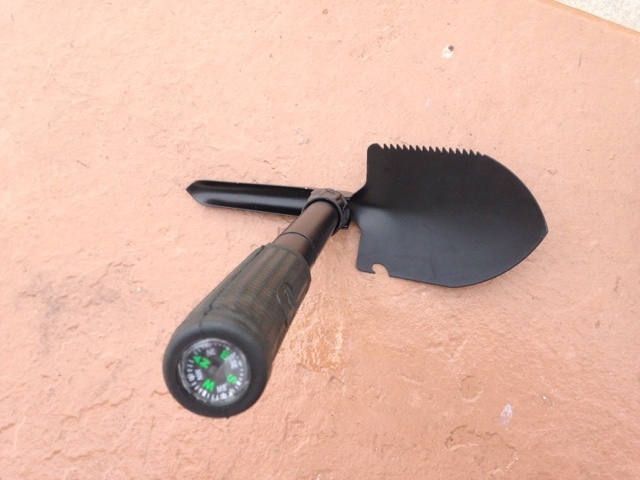 So I saw this as a need to have it in case I need to move some dirt. I almost pulled it out to use it on a dirt road I was on this week. That's an adventure for another blog post. Oh. 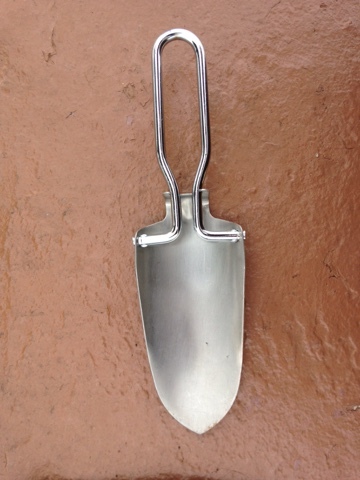 $4.00 for the mini folding shovel. 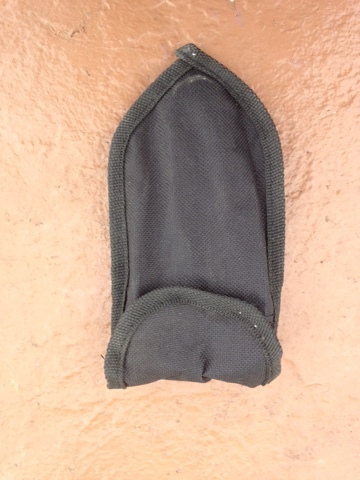 Here is the little trowel I brought on the trip that this will replace. It's nice being stainless steel. 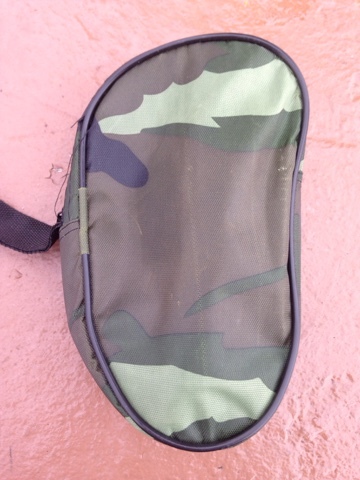 It's also compact to carry and I did use it when camping on BLM land.